Guitarist, Tom Hunt, will swim a mile across the Thames as part of the Great London Swim 2012 to raise money for BAPAM. I developed a shoulder injury that temporarily ended my music career and stopped me from being able to play the guitar. It wasn’t until I discovered BAPAM a year later that I found specialists capable of helping me recover. One of the pieces of advice I received from BAPAM’s physiotherapist was to stay active and keep in good shape. This is why I’ve decided to take part in the Great London Swim 2012. The Alexander Technique is a ‘self-help’ technique that can help musicians reduce unnecessary tension, improve posture and playing technique, and alleviate pain. Jane Gregory brought our attention to the expanded section for musicians on her website. Jane teaches Alexander Technique to students and staff at the Institute of Contemporary Music Performance. You’ll find two fascinating and useful articles (aimed at bass guitarists and drummers but applicable to all musicians), presenting easy, practical advice based on the Alexander Technique. BAPAM’s Directory of Practitioners can help you find an Alexander Technique teacher in your area. Performing artists registered with BAPAM are eligible for reduced price sessions with many practitioners, including Jane Gregory. We are pleased to announce a series of monthly Saturday Tuition Sessions at BAPAM’s London HQ. The sessions can help professional and student performers achieve the most from their performance, whilst causing the least damage. One to one Sessions will be held on a Saturday morning and include: Voice Coaching, Guitar Technique and Ergonomics, and Performance Bodywork. 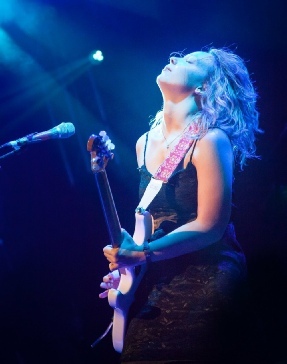 Charlotte experienced the beginnings of tendonitis when she was a post-graduate student at the Guildhall School of Music and Drama. A whole year of lessons in the Alexander technique and many sessions with the legendary Jean Gibson, saved her from serious damage and woke her up to the importance of good body maintenance and healthy habits. Alongside teaching and performing, she pursued her enthusiasm for bodywork taking courses in Yoga, Feldenkrais, Shiatsu, Ayurvedic massage as part of a BSc degree course at the University of Westminster, amongst others. Fifteen years of bodywork experience and over twenty years of piano teaching has given her the background knowledge and understanding of how to best help anyone, especially performing artists, look after themselves. As a professional musician and teacher, Charlotte has taught piano at the Purcell School for eleven years, coached singers at the Academy for Performing Arts in Hong Kong, has been an official accompanist for the BBC Young Musician and the founder and director of Chamber Music International, a very successful annual summer course for chamber musicians and composers. It doesn’t matter what instrument you play, it is important to play with an efficient use of your body. An oboe player who has a tense left thumb holding the instrument can be encouraged to use only the muscles needed to perform that act, thereby letting go of tension that was blocking free playing. A bass player can discover that adjusting their stool by as little as an inch can free up their arms in a way that stops the nagging shoulder ache. It can be a small trigger which, when changed, can have such positive results. As a pianist, you have the option of taking Performance Bodywork a natural step further. If you have a problem such as tendonitis, the sessions may develop into a form of ‘piano lesson’ so it is very important if you are a student that you ask your piano teachers permission. You would only need to play a piece at the beginning of the first session (there would be no emphasis on style and interpretation) and then the focus would go towards what is causing the problems and how to unlock those problems. If you choose, you can have a series of sessions that will completely transform your technique, so that you learn to play with freedom and the piano starts to feel effortless and enjoyable. Charlotte’s approach to piano technique is very simple and is based on the principles of the Eastern Martial Arts, using power rather than force. She can see and hear within the first few minutes of seeing someone play where the main issues are – others can reveal themselves over time – and can help re-educate you in healthy piano playing habits. Your voice is a part of your body and you create your own instrument before you even start. The way you hold yourself physically and the way you think and feel has a direct impact on the sound you produce and how you are able to express yourself. The relationship between you and your voice can be a highly complex one and when problems arise they can sometimes be difficult to untangle. A simple adjustment of the way you hold your head can make a difference to your sound or it might be a case of going deeper and discovering how your thoughts and feelings are having an impact – the ‘inner game’ of performing. With fear, nerves and anxiety you can carry an enormous amount of tension. Your stature can shorten and become restricted causing problems projecting physically. This affects both the voice and the body, and your overall presence on stage. Performance Bodywork can help in a number of ways. You can be assessed both singing and speaking (singing can highlight hidden problems from a different perspective) and when acting the role you are currently working on. Charlotte has worked with actors for the last twenty years, having spent much time working as a pianist and coach in music theatre and coaching actors through singing. She spent two years as a presenter for the classical music channel (RTHK) in Hong Kong and learned public speaking as a member of the Amsterdam Toastmasters Club. She has an innate understanding of how to use your voice in nerve filled situations both in front of the microphone and standing up in public. Dancers speak through their body and their body needs to be finely tuned and in alignment in order to function efficiently and effectively. The pressures on professional dancers can take their toll physically, emotionally and psychologically. Dancers are prone to injury because of the demands of the job. Performance Bodywork can help in the prevention of injuries by observing how the dancer operates away from the dance floor. It is easy to carry dancing habits into everyday life and this can cause problems. Learning good posture and alignment is essential and along with it, an ability to care for the body in the right way. Please Note: BAPAM Saturday Sessions are not medical clinics. If you are concerned about a medical problem or injury affecting your performance you should make an appointment at either your own GP’s practice or a BAPAM clinic held by a doctor or physiotherapist.